Hold onto your hats and glasses: Big Thunder Mountain has re-opened! Disneyland Paris made the surprise announcement on Friday via Twitter, revealing that the Frontierland roller coaster would re-open to guests just a day later, on this past Saturday, a week earlier than expected. This follows its planned three-week refurbishment and, of course, that incident back at the end of April — which saw a decorative fibreglass rock above the track fall and injure five guests. As it happens, the closure this forced upon the ride, one week before the planned closure, seems to have brought forward the whole refurbishment and finished it a week ahead of schedule. At least you can’t criticise Disneyland Paris for wasting time, even if the circumstances were less than desirable. The refurbishment has primarily seen the whole mountain regain its full ochre lustre, which had been fading following the previous 2006 repaint (and this time they even promised to remember the Rainbow Arch) as well as restoring various small effects. On-board, a magicforum member suggests that, while you can’t see anything visibly missing in the fateful final lift tunnel, none of the faux-rocks overhead (supposed to simulate an earthquake caused by miners’ dynamite explosions) were moving. Glad to hear it’s back open so soon! You’re right! They most definitely haven’t wasted time with this one :) I hope they get the earthquake rocks working safely again, I love this effect in the final lift tunnel! I think the magicforum user is wrong. But I could be mistaking. The place where the decorative fibreglass rock fell, is now a big hole. I had heard that BTM was open again. Thanks for the extra news and photo. 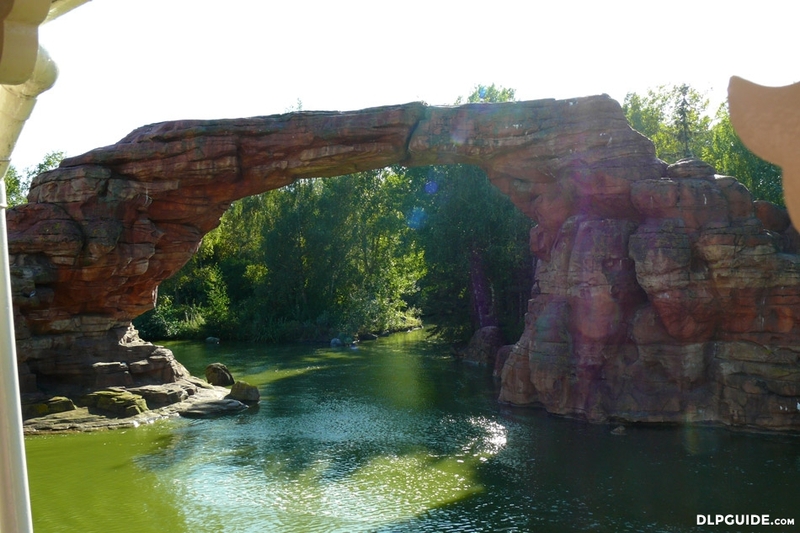 I also hope that the moving rocks are restored soon, and they will not be fixed permanently, as it does add interest to the ride – like the waterfall that you pass through in summer months. They seem to turn this off in colder months, as I guess people don’t want to get splashed. We always huddle together in the middle of the cart so we don’t get wet! Great news! BTM is my second fave ride (first is rock n roller coaster) I’m Very Upset Beacause they have stopped the earthquake effect, it was my fave bit! but i hope they get it going again!